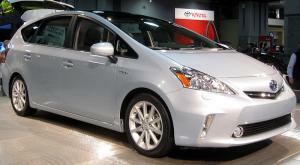 The Toyota Prius has topped a list of the UK’s fastest selling used cars in August. According to Glass’s figures, the Japanese manufacturer’s hatchback took an average of just 25 days before finding a new owner. The car rarely features prominently on the list, and the high demand is being linked to a shortage in the number of Prius models being traded at the moment. Understanding the market demand is key for anybody dealing cars either on a full or part-time basis – it will allow them to determine the type and quantity of vehicles to stock. This in turn will help determine the motor trade insurance they get, whether that is the level of cover they need from a road risks insurance policy or the scope of coverage they have to obtain in a combined trader’s policy. Joining the Toyota in the top three best performing used cars was the Ford Focus and Chevrolet Orland, which took an average of 27.3 and 27.2 days to sell respectively. Conversely, the three worst performing vehicles were the Mercedes-Benz CL Class (91.5 days), Renault Scenic (83.5 days) and Nissan Micra (76.4 days).